If you haven’t been following the news this week, you may have missed the insults being slung at us Western parents. You heard me right. You and me, we are slouches when it comes to parenting. Of course, I had already figured that out for myself. Years of therapy. Along with my kids who take pleasure in reminding me of my slacker days. 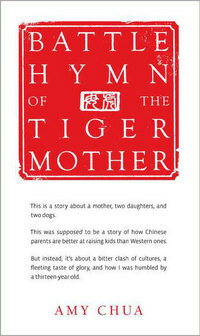 According to Amy Chua, a Yale Law School Professor, Chinese mothers are superior. And she must be right. She’s from Yale for God’s sake! She released her book this week, “Battle Hymn of the Tiger Mother,” claiming that the way she has raised her two daughters is far superior to the way you and I are doing the job. “Extreme, rigid, authoritarian approach.” so say some media outlets. According to these media outlets who are summarizing Chua’s book, us Western parents are wuusies ... we give in too quickly to our kids’ whining ways, turning them over to computer games, television and whatever their little whining hearts desire. So there you have it. Chinese mothers are simply more DETERMINED than us. So the media tells us. Who knew? It’s that simple. Follow these rules and you too can have math whizzes and music prodigies. If only I had had this book years ago, I could have been a Tiger Mama! Oh, how I have failed! Can you ever forgive me, dear children? If I had been a Tiger Mama, who knows what heights you may have soared. Cough cough, sputter sputter, snort snort. If you dig a little deeper in all the media hype, Chua’s book really isn’t about good old-fashioned Asian values vs. American values. It’s about one mother’s journey of raising her children. A memoir. Not a how-to manual to raise little prodigies. Because how would you explain other successful children who overcame bad, neglectful or unsupported childhoods. Madonna, Sinead O’Conner, Oprah Winfrey, Eminem, Richard Prior, Beethoven, Michael Jordan, and even Einstein. Some kids rise above unbelievable odds to pursue passions that only they can see, feel and act upon. The fire and desire must burn within them and no amount of parenting can CREATE that. But with that said, if being a Tiger Mama means placing a lot of emphasis on goals, achievements and academics, I'm all for being a Tiger Mama. With my child rearing days behind me, this Tiger Mama believes she raised some pretty responsible, respectful, and happy Tiger Cubs. Chua’s book is just another parent’s interesting approach to the hundreds of other books out there on how to raise bright, successful children, whether it’s the Chinese way or the American way. 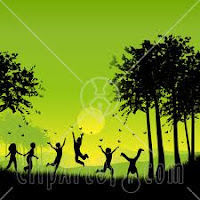 But the right way is to be engaged, be aware and be alert because if we find ourselves lazy and indifferent to our gaming-addicted kids, then we are serving them an injustice.